The historic A.E. England building in downtown Phoenix turned into an exhibit that combined technology with art to bring new life to empty windows last weekend. The exhibit – called “The Intersection” – was part of the city’s ongoing efforts to promote innovation. 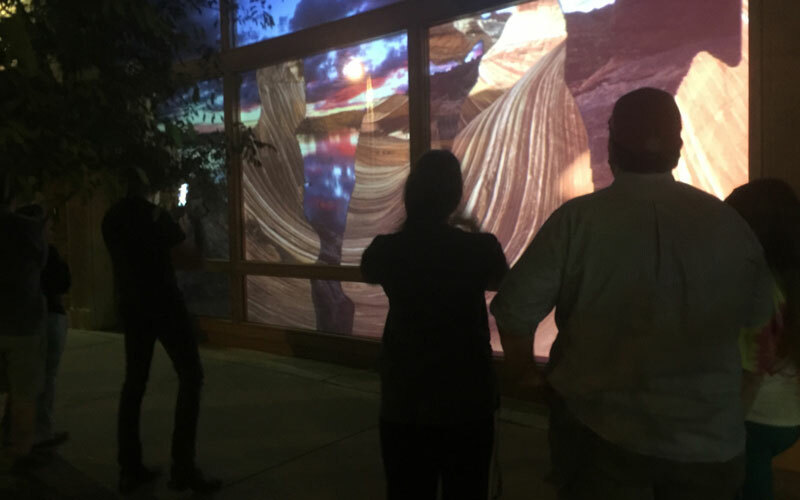 “It’s innovation combining digital technology and art to create this entirely new approach to artwork in downtown,” said Edward Lebow, the city’s public art program director. The Mayor’s Office launched its “Innovation Games” – community challenges that highlight the use of technology or innovation – in April 2015. The city held a “hackathon,” which brings together computer programmers and others to collaborate, to develop a web or mobile application to help reduce waste. It also conducted a streetscape design challenge that called for innovators to design a transit-oriented streetscape at Phoenix’s next proposed light rail station. 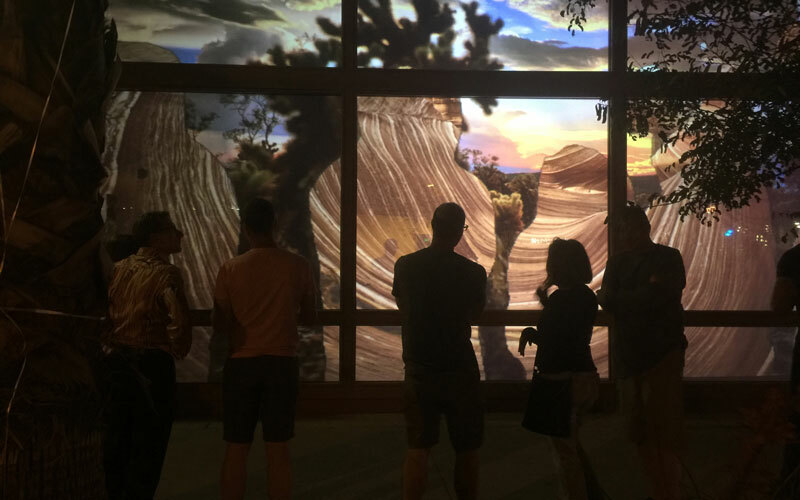 This interactive art exhibit wasn’t necessarily a challenge to the public, but a spokesman for Mayor Greg Stanton said it was an internal challenge to the arts department to make public art more engaging to a new generation using technology and art. The exhibit cost an estimated $30,000, and it was commissioned by the Phoenix Office of Arts and Culture Public Art Program with additional support from Downtown Phoenix Inc. and Friends of Phoenix Public Art. The exhibit highlighted photography from artist Hector Primero, who used photos of new and old Phoenix, and Dustin Farrell, who used landscape photography of Arizona. Primero, a Phoenix native, said he feels honored to have his work shown in this new way, but it’s the bigger picture that has him excited. As bystanders walked past the exhibit, the artwork changed. “This particular exhibit is about humans’ interaction with their environment, and the ability to manipulate the environment,” said Adam Wheeler, one of the project directors. Although the city does not have another exhibit planned, both the mayor and city officials said they would like to expand the project.